In your March 8 speech on Normalization and the Road Ahead, you spoke of diversity, zero-bound interest rate problem, and the Fed's path to normalization. You noted "Makeup strategies are probably the most prominent idea and deserve serious attention," while simultaneously admitting an "uncertain distance between models and reality". With that admission, you raised far more questions that you answered. Here is a series of questions from your speech to which the American public deserves answers. Given two certified bubbles that happened under 2% inflation targeting, why not a lower target of 1% or 0%, if any target at all? The implied assumption in the catch-up theory is that two errors are better than one. But how can it make sense to discuss makeup strategies when non-bubble inducing targets are not fully understood? Demographics are deflationary. How does that justify a 2% inflation target or any other specific target? Prior to 1983, the BLS directly placed housing prices in the CPI. Had housing prices been in the CPI in 2004-2006, might not the Fed have been more aggressive in hiking? Doesn't the same apply more recently? Today, Chicago Fed President Charles Evans says inflation could run to 2.5% before rate hikes are needed. There is neither justification for this or credibility behind the statement given the Fed repeated missing of targets. Diversity should mean more that race, background, and gender. Where is diversity of thought regarding inflation if all the members are of a monetarist or Keynesian school? How is the Austrian economic viewpoint represented at the Fed given there is not a single Austrian economist? The Phillips curve provides an excellent example of the "uncertain distance between models and reality". A 2017 Fed Study of the Phillips Curve concluded "Phillips curve models are not relatively good at forecasting inflation on average." Charts suggest the Phillips Curve "works" about half the time on a random basis, meaning the theory doesn't work at all. Why do so many on the Fed place faith in discredited models? In your speech, you said "Persistently weak inflation could lead inflation expectations to drift downward." Scrutiny of elastic vs inelastic items in the CPI shows it doesn't. 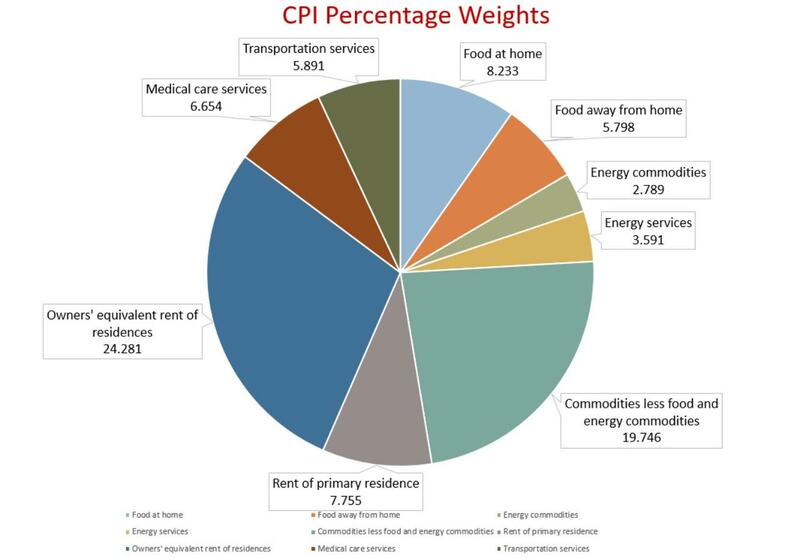 ​Inelastic items constitute just over 80% of the CPI. Here are some questions for the Fed to ponder. Q: If consumers think the price of food will drop, will they stop eating? Will they eat twice as fast if they expect prices will rise? Q: If consumers think the price of gas will drop, will they stop driving? Q: If consumers think the price of rent will drop, will they hold off renting until that happens? Will they rent two apartments if they expect the price to rise? Q. If someone needs a refrigerator, toaster, stove or a toilet because it broke, will they wait two months if they think prices will decline? Q. Better deals on TVs and computers are always around the corner. Does that stop TV and computer purchases? Except in the case of hyperinflation where a person will rush to spend cash instantly, people buy consumer items based on need, not expectations. However, people do behave differently when it comes to assets. 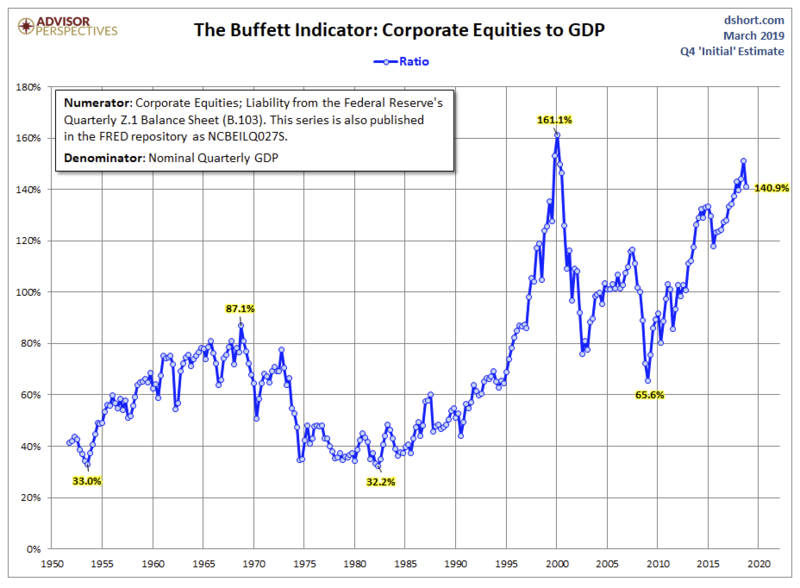 People do buy stocks it they believe prices will rise. They avoid stocks or sell them if they expect prices will drop. People will stretch to buy a home if they expect prices to rise. They wait if they expect prices will drop. 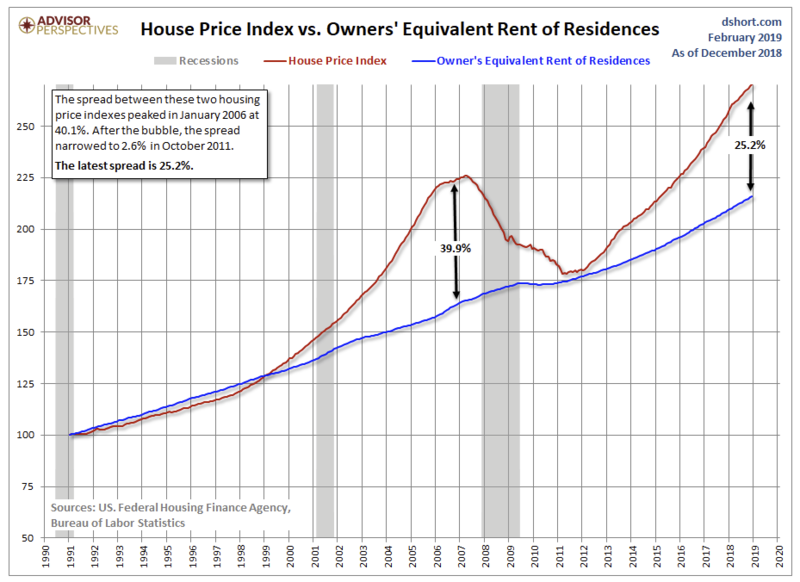 In 2011, I proposed an HPI-CPI model in which the Home-Price-Index (HPI) replaced the Owners' Equivalent Rent (OER) component of the CPI. Here is a chart from 2013, created by Advisor Perspectives at my request at the time (my comments in purple). 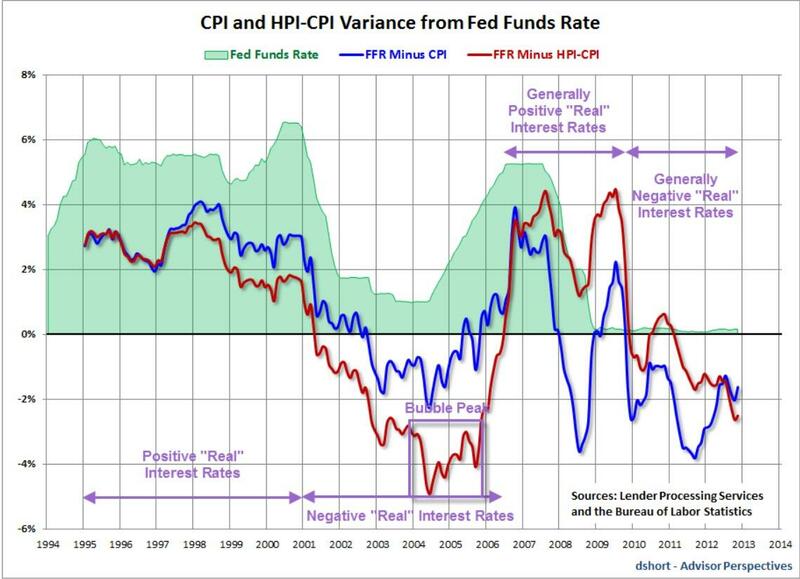 ​Towards the end of 2005, real interest rates were positive according to the CPI, but -4% according to my model. A similar, but more current Advisor Perspectives chart suggests the same is happening now. From 1990 until 1999, increase in home prices matched increases in OER. That divergence culminated in 2007 when people suddenly threw in the towel on buying houses. The Fed missed the significance of the OER substitution in 1983. Had home prices been in the CPI, we would have had more aggressive rate hikes. We have had three major bubbles since 2000. The Fed does not see the third one now just as Alan Greenspan didn't spot the dotcom bubble and Ben Bernanke did not see the housing bubble. The BIS study Costs of Deflations: A Historical Perspective investigated output growth in numerous deflations over a 140-year period, in 38 economies. The evidence from our long historical data set sheds new light on the costs of deflations. It raises questions about the prevailing view that goods and services price deflations, even if persistent, are always pernicious. It suggests that asset price deflations, and particularly house price deflations in the postwar era, have been more damaging. Deflation may actually boost output. Lower prices increase real incomes and wealth. At the top of the list of widely-believed but false central bank economic theories is the notion that falling retail prices are bad for the economy. Central banks acting on those group-think beliefs attempt to modify inflation exceptions while not factoring in asset price appreciation. Invariably, the result is bubbles. Why does the Fed ignore asset valuation models that do work over the long haul in favor of economic models that admittedly have an "uncertain distance between models and reality"? 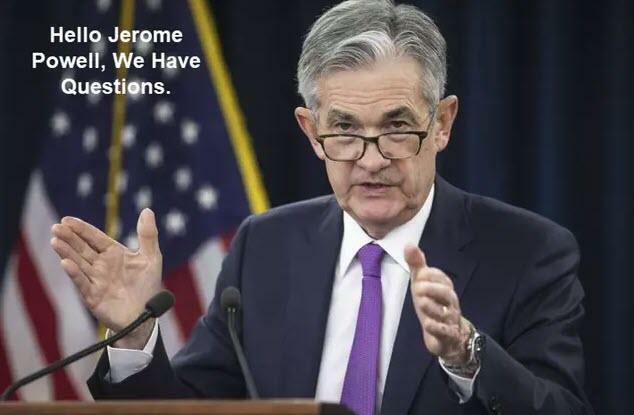 Unlike others, I do not believe these are purposeful actions by the Fed for the benefit of banks, so the only logical answer is the Fed does not properly understand what inflation is, how to measure it, or the vast array of problems associated blowing asset bubbles.